Chase Bank (K) Ltd today announced a partnership with SimbaPay which will allow free instant deposits from the United Kingdom to Chase Bank accounts in Kenya. This revolutionary new service allows Kenyans in the Diaspora to deposit money in their recipient’s Chase Bank accounts within minutes using the SimbaPay mobile app. 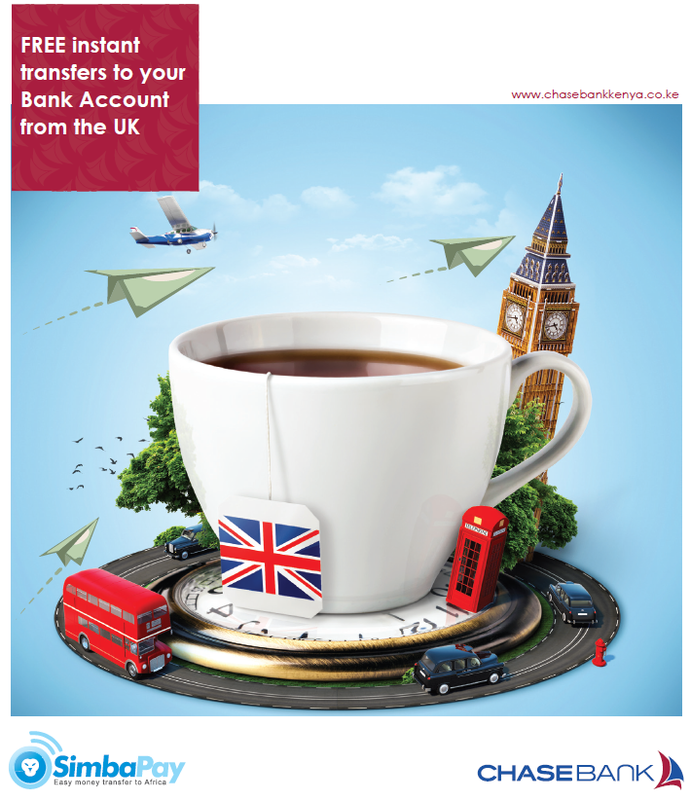 Money transfers submitted from the UK during Kenyan banking hours will be reflected instantly and those submitted outside Kenya banking hours will be reflected on the next banking day. Local Chase Bank account holders will also benefit from the instant deposit service whenever their friends and family use SimbaPay to send them money. The service further strengthens Chase Bank’s position as one of the top 5 financial institutions by diaspora remittance volumes handled. According to the Central Bank of Kenya diaspora remittances to Kenya now exceed USD 1.2 billion (KES 105 billion) annually. Chase Bank (K) Ltd was incorporated in 1995. The Bank received awards for being the Best SME Bank 2014 (Banker Africa), 2013 (Think Business), Fastest Growing Bank in Kenya in 2009 and 2010, as well as a special award for product innovation, at the Banking awards 2011 and 2013 in recognition for their role in creating innovative products for the SME market. Chase Bank places a keen focus on the SME and the provision of innovative products for this ever growing market. The Bank, modelled around relationship banking provides its customers with value added services like Bank Assurance, Bank Brokerage, and off shore investment opportunities with the aim of improving their overall customer experience.